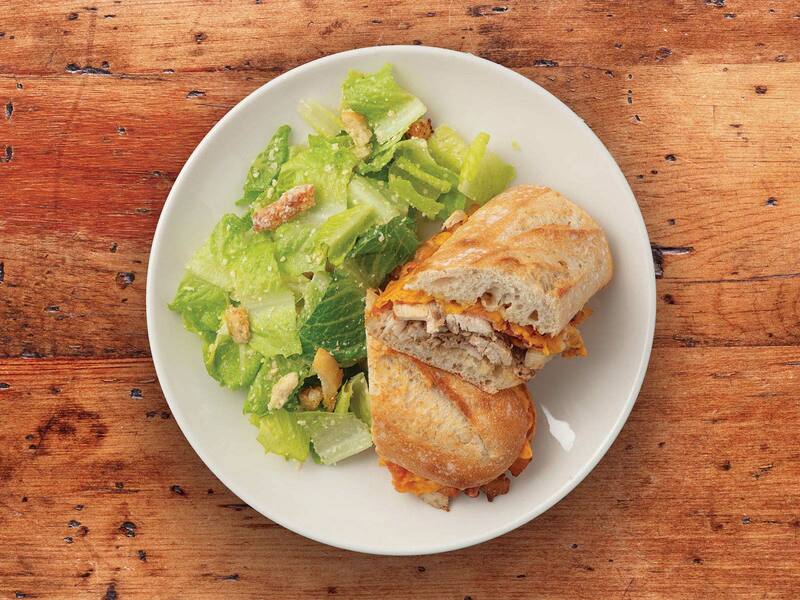 Shaved, balsamic-marinated chicken, crispy bacon and cheddar with mayonnaise baked on a baguette. 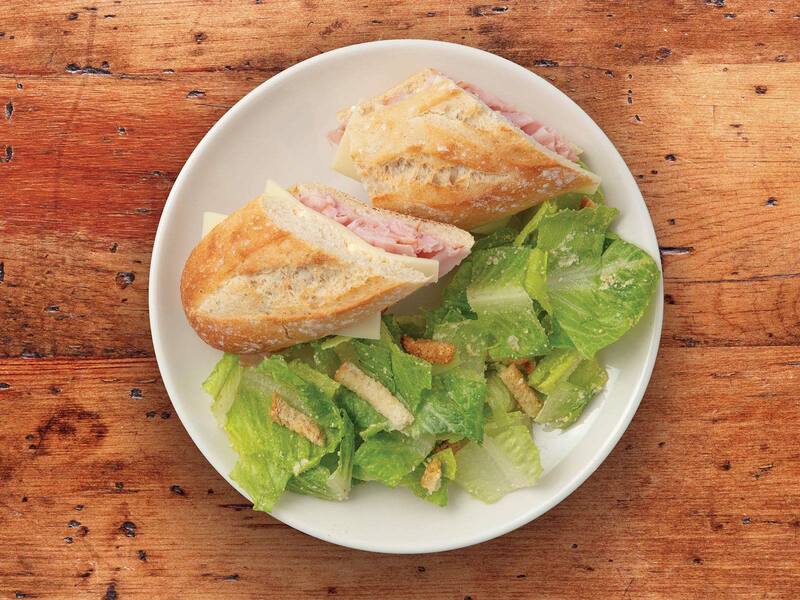 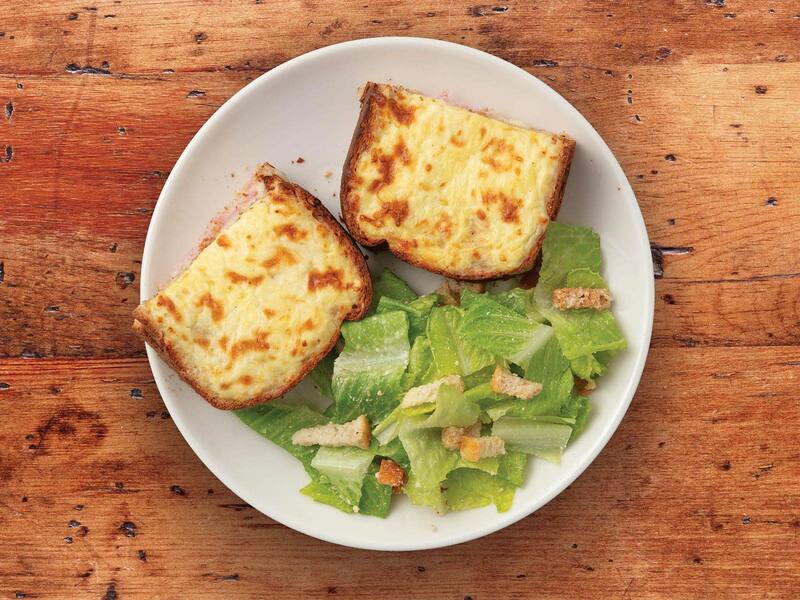 A popular French sandwich, it's deliciously simple: a baguette with softened butter, sliced ham & Swiss cheese. 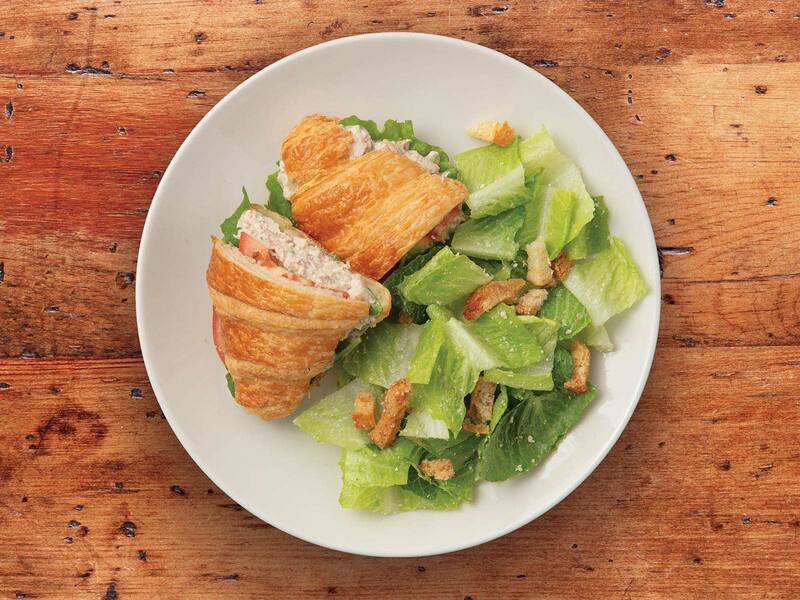 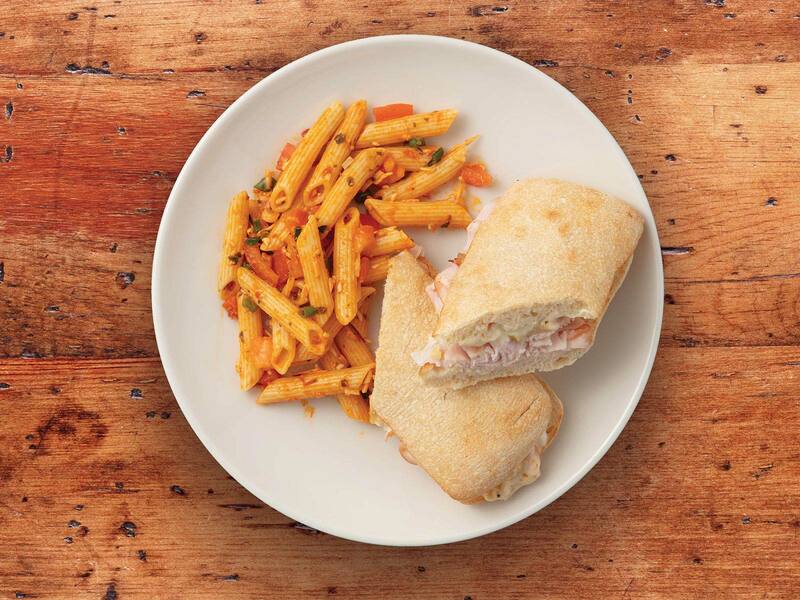 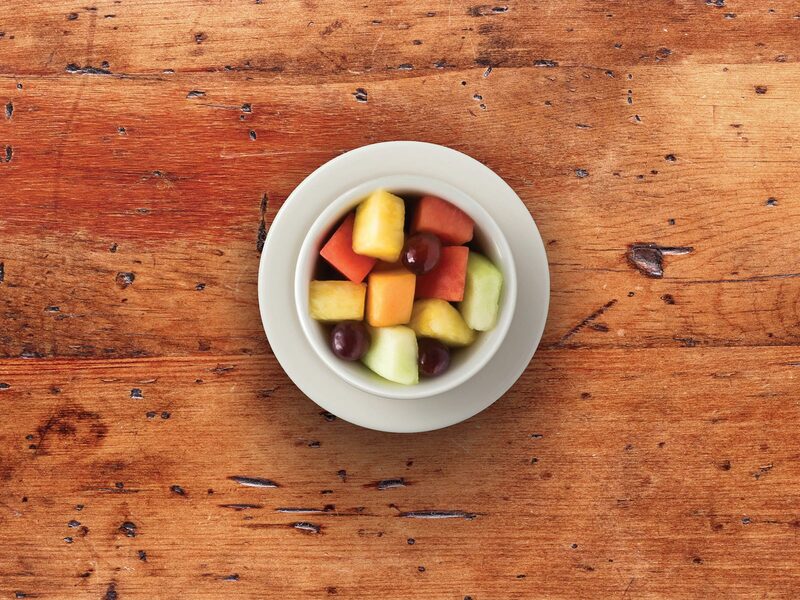 Our signature Chicken Salade served cold with crisp lettuce and tomatoes on a freshly-baked, flaky butter croissant. 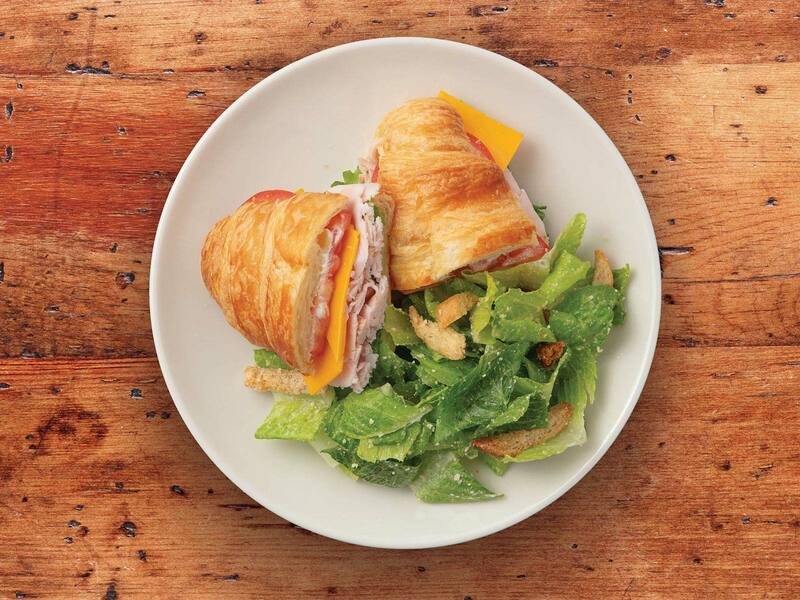 The classic French ham and cheese straight from the streets of France. 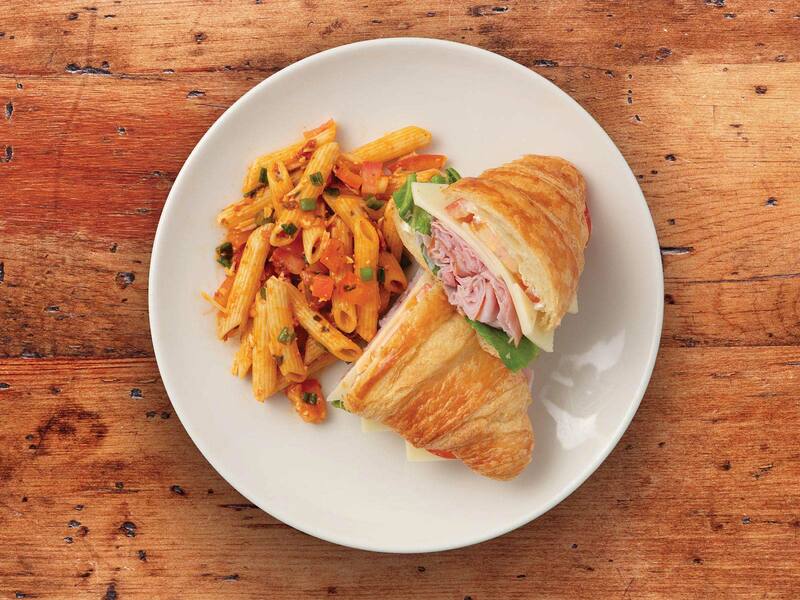 Savory sliced smoked ham and Swiss with garlic cream sauce baked on fresh wheatberry bread. 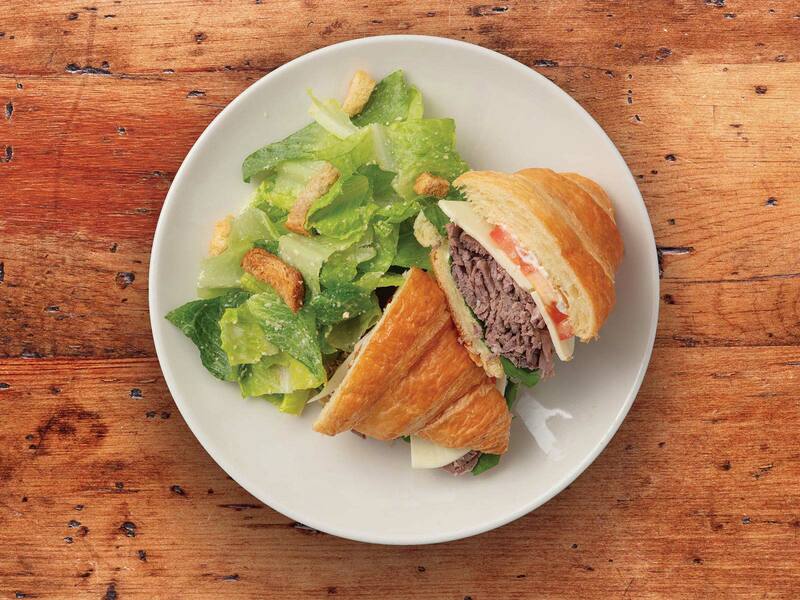 Premium roast beef with caramelized onions, melted provolone and house-made horseradish sauce baked on a baguette. 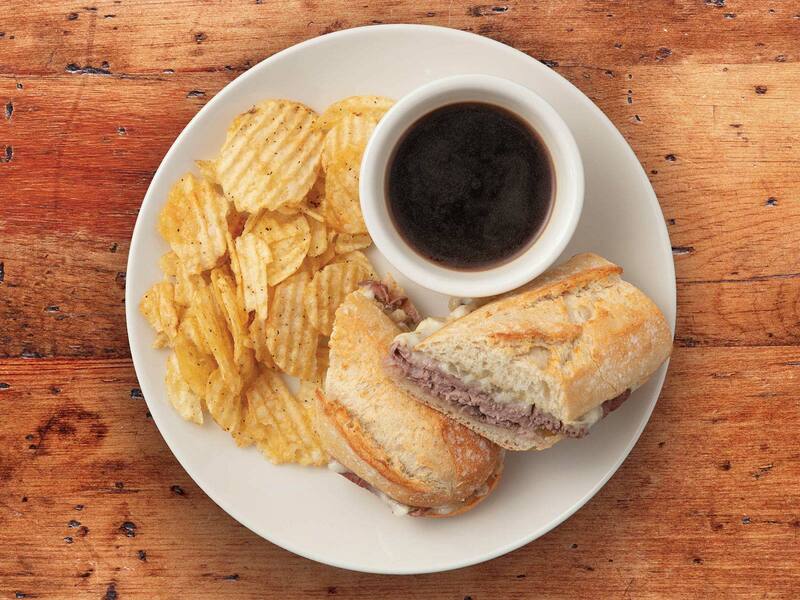 Served au jus. 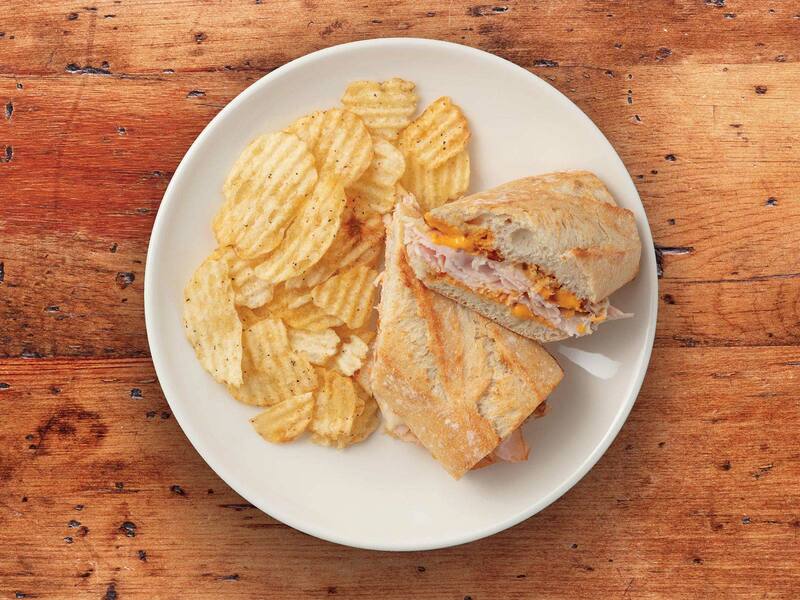 Smoked turkey, crisp bacon and provolone with sun-dried tomato pesto baked on a baguette. 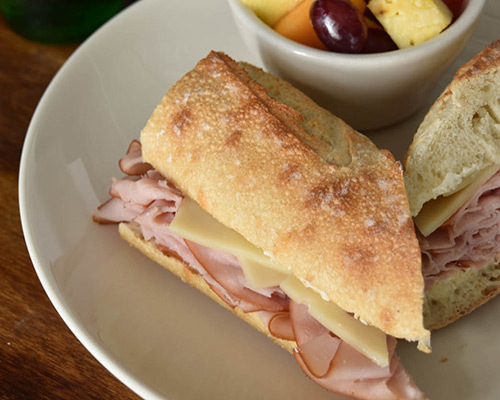 Smoked turkey, caramelized apples and onions with Brie and a house-made goat cheese spread baked on a ciabatta roll. 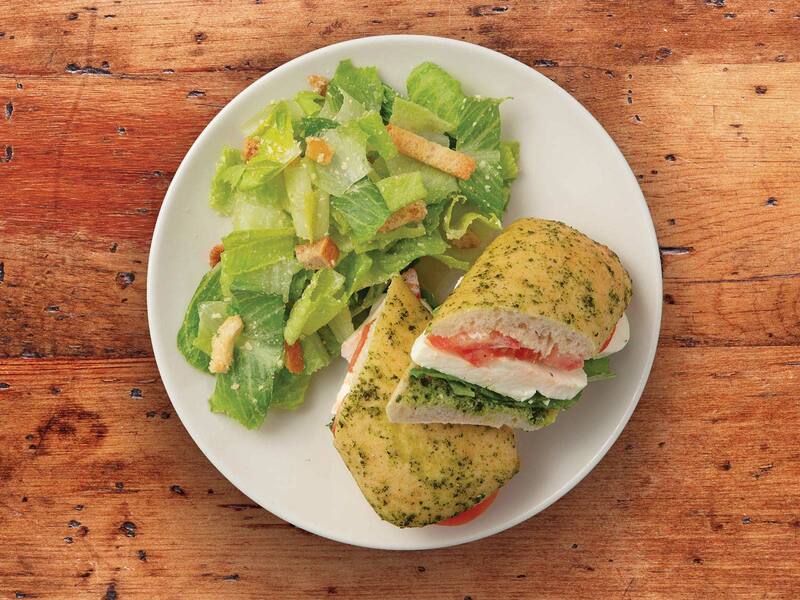 Fresh mozzarella, tomatoes, pesto and mayonnaise on a pesto ciabatta roll. 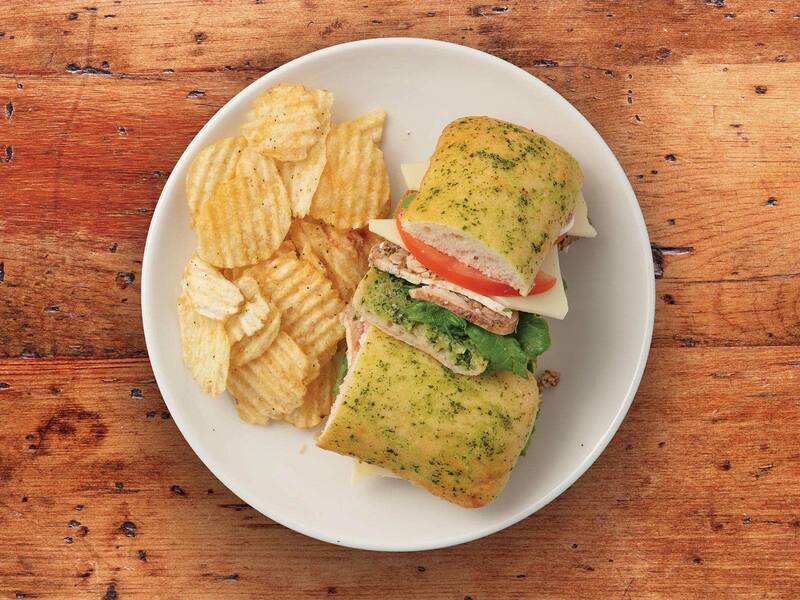 Shaved, balsamic-marinated chicken, basil pesto and Swiss with lettuce, tomatoes and mayonnaise on a pesto ciabatta roll.